This half-day workshop is either for those who have completed the workshop in hand-built ceramics on 4 November at Off the Rails, or who have to hand fired but unglazed ceramic pieces they would like to finish. 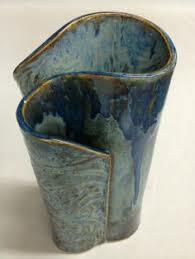 We are delighted that local artist and teacher Andrew Parry is able to share his expertise in ceramics with us. The workshop, which we are calling Day 2, will begin with discussion about some of the techniques, materials and equipment needed for successfully decorating fired and unfired clay. Using glazes and underglazes you will decorate your pieces and you will also have the opportunity to paint some previously prepared tiles. Your work will then be fired and will be available for collection from the Arthouse on an agreed date.